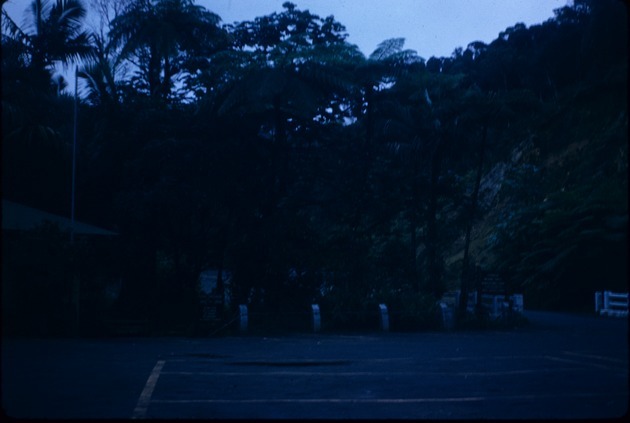 Parking lot for a picnic area inside El Yunque National Forest. There are 2 signs written in capital letters and in English. Parts of the signs are slightly legible: the one on the left reads “Picnic Grounds”, and the one on the right reads “Caribbean National Forest” (the forest’s official name before it was changed in 2007 to “El Yunque National Forest”).